Jack here with a couple of Horrortober movie reviews. 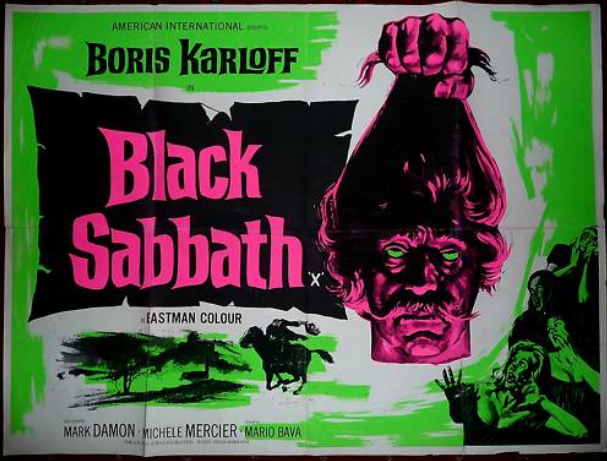 I watched Black Sabbath today. This 1963 horror anthology film is available on Netflix and is a fun, old school Halloween season movie. It features Boris Karloff as the host/narrator and he also stars in the third and longest segment, a vampire story. A very interesting chapter in this horror legend’s career. The first Horrortober movie for me was Excision. (2012) This movie is about a disturbed high school student with medical aspirations and her bizarre, bloody fantasies. It’s a strange movie that is worth a look for a couple of reasons. First, the gorgeous AnnaLynne McCord is practically unrecognizable as the lead and does a great job carrying the film. Second, there is an all-star cast including Traci Lords, Ariel Winter, Malcolm McDowell, Matthew Gray Gubler, Marlee Matlin, Ray Wise, and John Waters. AnnaLynne wants to play doctor.